Normally I'd pick the manga's art of the anime's; howver this is an exception. It's a great picture, but it could do with less... lines? folds? Good work anyway. Hey, I have this scan WITHOUT THE FOLD LINES. Would you want to re-upload it? I'll send it to you. This is a very awesome poster.
? They're so pretty, all three of them , amazing scan, thank you! 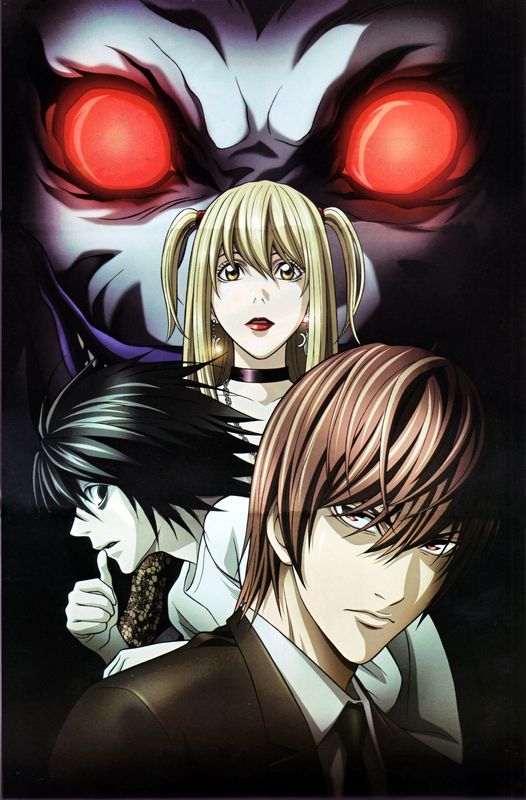 this anime was THE best susoense thriller ever! light was brilliant yet evil! i absolutely love this scan. thanks for sharing! oh la imagen esta de lokos gracias por compartir!1!